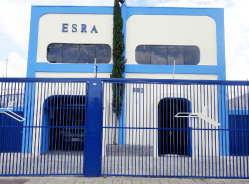 The company ESRA Engineering was established in 1991 to meet the demand for specialized engineering services and advice to the development sector and nationalization of aeronautical products. With professionals from the Brazilian Air Force Embraer and Neiva, in its staff and employees, expanded its area of ​​operation for the civil aviation market by introducing a new concept in quality. With tight control of products and services, including reports issued by official bodies and recognized, the ESRA Engineering meets the various requirements of international standards currently in use, being able to meet the expectations of its customers in the aerospace and defense. These are details like these that make the ESRA a company able to offer products as reliable and qualified as imported, with the advantage of low acquisition costs and maintenance to its customers.